We were unexpectedly impressed by this nice scope from Hawke. After we reviewed the Hawke frontier 6-24x50mm we concluded that perhaps the 4-16x42mm would be a better tactical oriented scope than the bigger 6-24 version. So we wanted to take the opportunity to review the smaller scope to see if it was indeed the better choice. Based off of the impressive performance of the previous scope we reviewed we were expecting similar results with this scope, but in a package that would suit the tactical role a bit better. From the outset it was obvious that this scope is indeed a better fit for the tactical role than its larger brother was. The smaller dimensions help with a bit less weight and all of the same high quality is present on this scope that is present on the larger 6-24x50mm. It has all of the same features including the one piece tube and nice matte finish. The packaging pretty much is the same with the same information and basic booklets available in the packaging. There is a stretching rubber lens cover that slips onto both ends of the scope to protect the lens when not in use. The single piece aluminum tube is 1″ in diameter and is nitrogen filled. 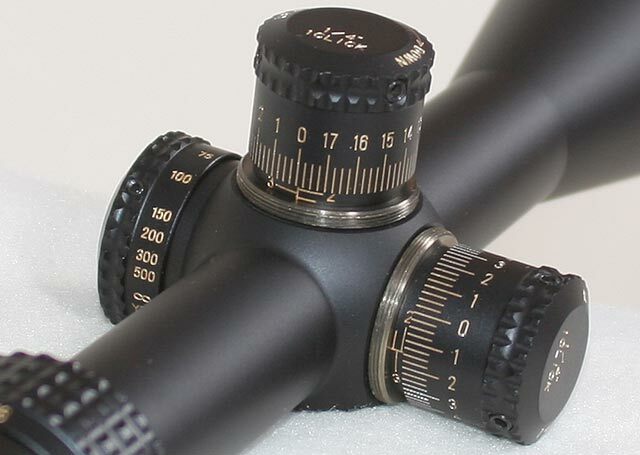 Like the 6-24, this scope has the nice matte finish and everything appears to be well sorted and designed. The smaller 42mm objective, vs. the 50mm on the larger scope, gives the scope nicer proportions and better overall appearance in my eye. The eye piece is a fast focus eyepiece design with a generous amount of adjustment range for the dioptre adjustment, for those that do not have perfect eyes and elect to shoot without corrective eyewear. It was easy to get a nice sharp view of the reticle. The power ring adjustment has some fairly aggressive serrations on it to aide in gripping the power ring to zoom in and out. The force to move the power ring is high enough to keep it from moving accidentally while the operator is going about business, and it does move smoothly throughout the zoom range. The zoom range is a full 4x range like the larger 6-24, but this time going from 4-16x. The mildots on this scope are calibrated to be accurate at 10x and it is a 2nd focal plane reticle meaning its size does not change when zooming in and/or out. So you will need to be sure you have the scope set on 10x when doing your range estimations. One trick that you are able to do with a variable power scope that has the mildots set for 10x is that if you are ranging a 6 foot tall object, say a man, you can zoom in until the target takes up exactly 2 mils, then read the power ring, which is the range in hundreds of yards. I.e. 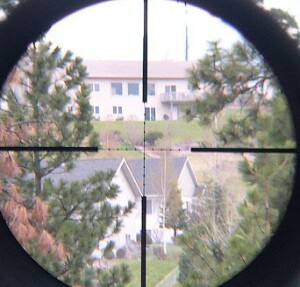 you zoom in until a 6 foot tall target is 2 mils in your scope, then if the power is set on 6.5 the target is 650 yards away. You can do the same with a 3 ft target and 1 mil. The adjustment knobs on the scope are the same as the 6-24x model and quite nice. They are a larger knob, but yet they have full dust covers that fit over them. The knobs themselves have serrations at the top for gripping as well as being nice and tall with clear marks and numbering indicting the amount of travel. One big difference with the 4-16x vs. the 6-24x is that the adjustments are 1/4 MOA per click instead of the 1/8’s on the larger scope. This is one of the differences that, in our eyes, make this a better scope for a tactical rifle. The knobs have a full 18 MOA of adjustment per revolution which allows most 308 rifle/ammo combos to go from 100-1000 yards in only 2 revolutions of the knob. There is a tad over 5 total revolutions in the elevation knob giving a total of 77 MOA of vertical adjustment in this particular sample that we had here for testing. The advertised number is 80 MOA and this particular scope was just a tad under that. I like to see at least 60 MOA for a .308 rifle and with a 15 or 20 MOA tapered base this scope has plenty of elevation for long range shooting. The elevation knob does have horizontal hash marks under it to give you a reference point on how many revolutions you have gone up or down. The combination of nicely designed knobs, 18 MOA per revolution and 80MOA of adjustment makes for a nice package, and all with a 1″ tube. The windage knob does count up in both directions which I am a fan of, with the numbers overlapping at 9 MOA, which will get you through some decent crosswinds without overlapping the numbers on the windage knob. This is a big improvement over the 4.5 overlap on the 6-24 with its 1/8 clicks. On both the windage and elevation knobs, the clicks are very nice with a good and solid audible and tactile click with no mushiness; there is no doubt when a click has been made. The amount of force to get a click is just about right. The side focus knob is also nice and smooth to adjust throughout its range. The focus knob on this scope does not seem to have the frictional muted clicks like on the 6-24, or at least it is not as pronounced, but it is still very nice. The focus range gets a bit tight at long ranges jumping from 500 to infinity in just one mark on the knob and I would like see a bit larger amount of adjustment range at the higher end of the focus knob, but it did function as it should. 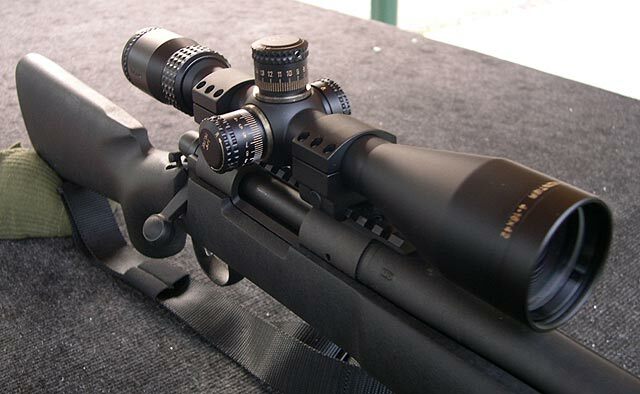 We mounted the scope on our Remington 700 mule tactical rifle with a pair of Burris XTR aluminum rings. The scope zeroed without problems and we shot the scope through the box without any issues. The plain mildots were very nice to use and always a welcomed reticle here at SC with its uncluttered simplicity. We noticed that on this 4-16 scope that the indicator mark extends all the way to bottom of the turret making it much easier to pick out when compared to the 6-24x50mm scope. We had problems on that larger scope knowing exactly where the mark was, but that is not the case on the 4-16. The direction indicator is printed on the top of the knob on a slightly slanted portion and as long as those marks are facing the shooter they can be read from behind the scope, but if rotated half a turn you cannot see them. The scope has a nice generous eye relief of almost 4″ which is more than most scopes and makes this scope a good candidate for magnum rifles. I would also like to comment about the quality of the optics, as to my eyes it appears to be very high quality. I have said it before, judging optical quality is extremely difficult and we are working on developing a quantifiable way of comparing optics, but had not perfected it yet for this review. 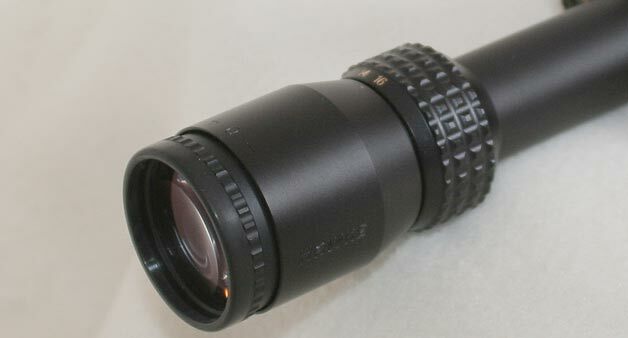 But when comparing this scope next to Ziess, Leupold Mk4’s and other high end scopes, it compared very favorably. The brightness and clarity of the optics is excellent and there appeared to be less color distortion then just about any scope compared next to it. They have really done a great job with the optics on these scopes. Overall the scope is very nice and with the larger adjustment range, 1/4 MOA clicks, and lower power range, this scope is a better choice, in our opinion, for a tactical rifle than is the larger 6-24x50mm. The scope, primarily due to its lower magnification range, has a better field of view and larger exit pupil than the 6-24x as well. 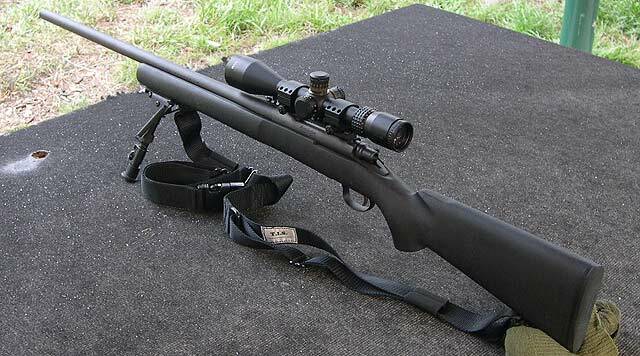 The only real thing that I was not that fond of was that the scope is only minimally cheaper than the 6-24, about $30. I personally would still take this scope over the 6-24 as I feel it is a better match for tactical shooting. Our overall rating for the scope is very good. The frontier line of scopes is no longer produced, but they were a higher end line that was made in Japan. The Sidewinder series is a lower end scope that is quite a bit different both externally and internally. The Frontier review was done several years ago and they kept building them for a while, but they are no longer available, which is a shame. Good scope. I have not used the Endurance scopes yet, so I’m not sure. The first thing I would look for is where its made. If its China, I’d probably move on. Considering a hawke 3-9 for my 30-30. Would you recommend a hawke for the rough use a bush gun endures? Which model? Or would a prostaff be better? We really liked the Frontier series from Hawke, but they are not longer being made and unfortunately, we have not been too impressed with many of their other offers as many/most are made in China and quality suffers. The sidewinders are made in China and the build quality is typically low. If you are doing serious shooting I’d look elsewhere. If you are just plinking, it’ll likely work. Love the detailed review. Have you tried any of the lower end Hawke models. I have a Vantage 3-9x40AO IR that I love as much as my high end scopes. These guys know how to build a scope! It certainly does depend on the model. The Hawke Frontier was a nicely made Japanese built scope of much higher quality than their other Chinese built models. Unfortunately they do not make the Frontier any longer. http://www.us.hawkeoptics.com the frontier is still being made…. They re-introduced it, though it is not the same scope. We have not tried out one of the new ones yet to see if they are as good.